Before now, it wasn't really right to think of Cloverfield as a franchise in the way we typically think of them. Cloverfield, Matt Reeves 2008 film, was a found-footage horror film about a group of friends trying to survive a giant monster attack on New York City. 10 Cloverfield Lane, the 2016 follow-up, was about a young woman in a bunker trying to figure out if her rescuer was more dangerous than the ostensible alien invasion happening outside. 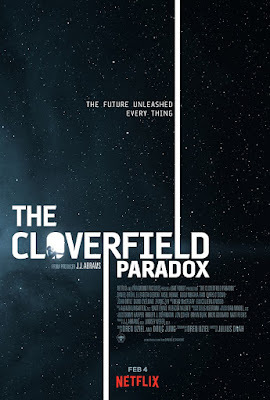 There really wasn't much connective tissue between the two; instead, it seemed, the Cloverfield brand was used, in this franchise-obsessed world in which we live, to help a brilliant small-scale sci-fi thriller flourish. The idea of using the franchise to build up projects along a similar theme but with no other connection was brilliant. Alas, The Cloverfield Paradox disagrees, and contorts the film into a weird, clumsy prequel. If the Cloverfield brand helped promote an excellent thriller a couple years ago, here, it helps destroy a promising idea. In The Cloverfield Paradox, Earth is in the midst of an unprecedented energy crisis. Russia is threatening a ground invasion of the United States, Germany is preparing for war, and people are using illegal, dangerous fuel cells to power their homes -- at great personal risk. Into this comes Ava (Gugu Mbatha-Raw), a scientist dealing with a personal tragedy who is recruited for an ambitious, moonshot proposal. It's a killer hook: She joins an orbital international space station testing a new form of energy, hoping to stave off a new world war, and after two years of failure, they finally have a successful test... only for something in the ship to explode, and the crew to come to with no idea where the Earth is. Now, the crew must figure out where in space they are, what went wrong -- and why there's now a shrieking coming from the walls of the station. Right away, the film runs into some... problems. We're told via newscast that we're in the midst of an energy crisis... then we're in a car, meeting our protagonists, who tell us about the energy crisis, before we get aboard the spaceship - why is this set in space, by the way? They say it's because the particle accelerator was too big to build on Earth, but that's just visibly untrue, and it seems like building a space station and then ferrying people back and forth to space is going to be a rough go during an energy crisis - and we're once again told about the energy problem. The first is inorganic and never should have made the final cut; the second is a bit clumsy, but at least it characters rather than snippets of the news; only the third, which takes place on the station and shows us the mounting stress of the crisis, really completely works... but by the time we reach it, we're already bored. And this is far from the only time the movie endlessly reiterates things in the clumsiest way possible, treating the audience like even the most basic ideas are beyond them. Don't even get me started on the freaking 'scientist interview' we see snippets of, warning that a successful test could unleash demons on Earth. You keep using the word 'paradox' -- I do not think it means what you think it means. Some of the scares are effective and interesting, while others just don't work at all. At one point, we get a completely random shot of a foosball table, and we see the little players on the poles begin to spin wildly. It's a terrible idea for a scare, but that's not the only problem; it's also badly executed and badly set up. It appears to happen in a completely empty room, which means that we don't really have any characters being afraid to juice the emotions. It's a completely unimportant object, so we don't get the sense that it portends any particularly nasty fate. And, most damning, it is shot in a close-up on the spinning guys, which means that, in your head, all you think about is, "There's totally a person like three inches off camera just spinning them really intensely." It's not the kind of scene you should be laughing during, but I defy you not to. The script resembles a puzzle, and I don't mean that in a positive way. A character loses his arm when a wall eats it for no reason; the arm is discovered by a character who had been locked up after he is mysteriously released for no reason; the arm tells them to cut open a different cast member for no reason; this gives them the ability to power their station. If the characters had figured it out on their own, it could have been an empowering moment; if they were attacked by something and forced into a series of difficult choices that ultimately gave them their way home, that could be scary. But instead, it's just a series of wild, random events, coincidence where the story should be. Because of that decision, potentially dramatic moments are rendered utterly inert. This is something the movie does over and over and over again, the complete lack of character agency makes it difficult to really get invested in what's going on. The cast is phenomenal - Daniel Brühl is a talented up-and-comer, Chris O'Dowd is a strong choice for comic relief, David Oyelowo is a great actor without much to do, and Gugu Mbatha-Raw might be the finest young actress in Hollywood today. But Gugu is also the only one really given particularly emotional material to work with. We don't really know... anything about the rest of the crew, who largely seem to be their jobs. Do they have families? Why does Zhang Ziyi's character only speak Mandarin? Why did they volunteer to come up here? Even without dedicating dialogue space to their backstories, the performances themselves should give us the clues we need; Pacific Rim's Australian pilots, for example, don't get a ton of exposition about their pasts, but you know a damn lot about who they are as people as the movie progresses just based on their performances and they way they act. Because The Cloverfield Paradox takes place years after these people have known one another and they almost all seem to get along (the only ones who don't are because of a national conflict), there's no real friction here either. The movie comes alive for a stretch in the middle when a new person joins the cast and the relationships shift, but it takes so long for her presence to matter that it feels a bit too little, too late. The core idea behind the movie is rock solid, but it is simply so riddled with problems that it just doesn't work. Frequent trips back to Earth - meant to tie the film more fully into the Cloverfield 'Universe' (ugh) and continuity (uggggggghhhhhhh) - completely derail the tension on the station, though the script only rarely lets that tension build in the first place, so I guess it's not a huge loss. It's not that the movie is irredeemably bad in any one area, it's just sloppy and ill-conceived on virtually every level, from the opening news clipping nonsense all the way down to its disastrous final shot. 10 Cloverfield Lane was excellent, and it seemed to herald a new kind of franchise filmmaking. Instead, it seems like it will just be the Halloween 3: Season of the Witch of this particular horror franchise, a strange outlier that shows what might have been, before meddling producers demanded something more conventional. Even so, The Cloverfield Paradox didn't have to be as rough as it was. A tighter script could have cut down on the useless trips to Earth and gratuitous exposition, letting this all-star cast shine, and a stronger delivery for setting up and paying off the scares would have really sold the tension. As is, the best thing about The Cloverfield Paradox is that I didn't have to pay for it. 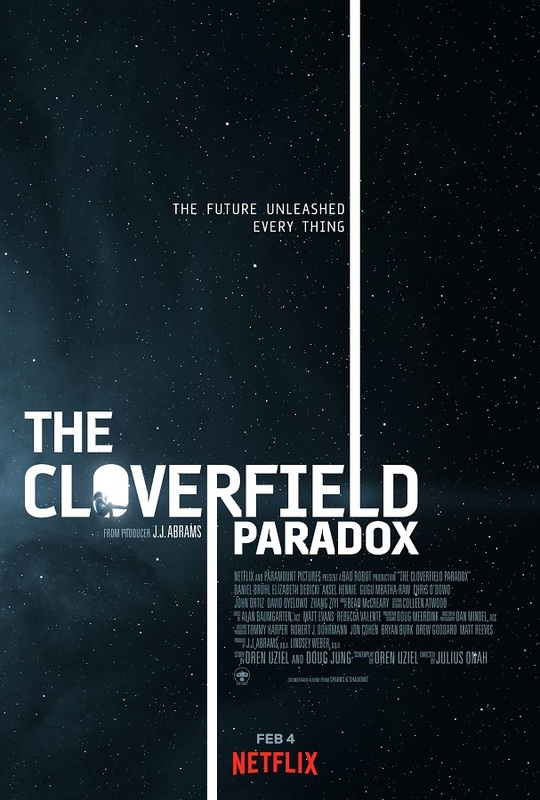 The Cloverfield Paradox is out now, only on Netflix. Written by Oren Uziel and directed by Julius Onah, The Cloverfield Paradox stars Gugu Mbatha-Raw, David Oyelowo, and Chris O'Dowd.